WA Patriot Participates in 2015 C.A.P.E. 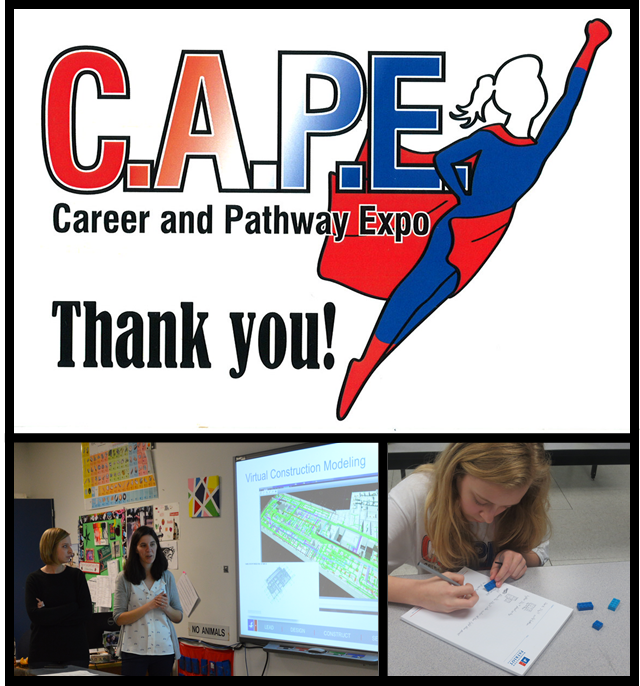 WA Patriot would like to thank Zerah Florance, Project Manager, and Sarah von Keitz, Project Engineer, for their participation in this year’s Career and Pathway Expo (CAPE) at Harbor Ridge Middle School in Gig Harbor. The intent of CAPE is to promote Science, Technology, Engineering, and Math careers to female middle schoolers. Zerah and Sarah teamed up with PSF Mechanical to lead three workshops demonstrating the theory behind design-build in the construction industry. We are proud of their interest in serving our community by taking part in this expo. Thank you, ladies!